Its the season for music, the outdoors and with that where the weather and sounds happily collide: festivals. Kicking off a multi-season run of music festivals to come this spring, summer and fall, SXSW starts the party in Austin while celebrating its 30th year of being a showcase of tech, film, music and interaction. For the past couple of years – here and here– this culture has shown how that convergence meets our cultural zeitgeist and this year isn’t any different. So, cool off and enjoy the culture, because, find the culture, get the coffee. lives so does the coffee. The annual Fader Fort party returns to Austin with a full lineup here. Across the street full espresso bar The Brew and Brew will be a festival savior with a menu of wine, cider, tea, snacks and coffee for crowds that will surely spill into the streets around one of the festivals most coveted music showcase. Boot strapped in Austin? Sure. Coffee and boot strapped? Why not. Helm Boots, the handcrafted shoe company which designs in the home city of SXsW – Austin – keep the cool with Revelator Coffee’s cold brew – their old fashioned way. 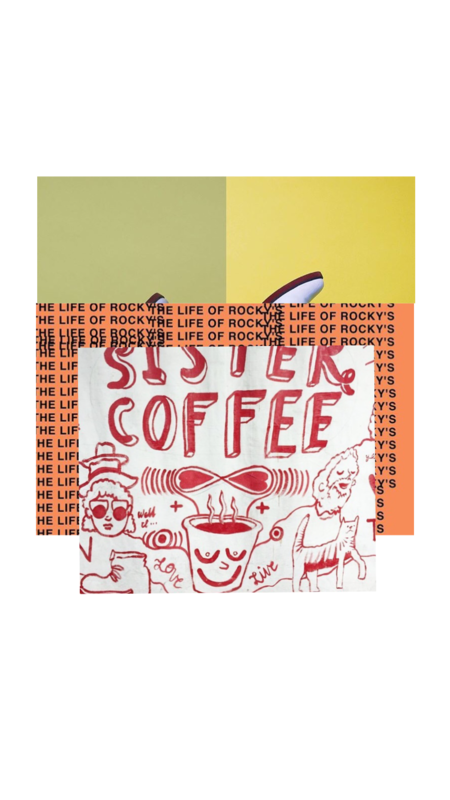 Stop in to have a look at their collection while also sampling a Cold Brew Old Fashion – cold brew, bourbon and orange.Also find Revelator Coffee at fashion outfit, Billy Reid’s. And, its free. Because everyone isn’t staying at an AirBnb or crashing on a friends couch. Mañana, a coffee shop newly opened [ March 15th ] at South Congress Hotel, arrives just in time, for one of the most coveted hospitality services of them all: coffee. Fueling its Instagram with scenes of sunrise and vintage black and white coffee images, there’s the feeling that coffee and tea – Cuvee Coffee and Ksumi Tea respectively – in the mañana is something to wake up to. Also a juice bar, there’s cold press juices and milks by chef Michael Paley. See you in the courtyard. Cultural convergence loves to hibernate in a pop-up. Enter Sister Coffee, the once outdoors only truck which is soon “trading in our trailer for a roof and wall.” Finding sibling love at a couple places this SXSW, catch them at gallery space Lower Left where their coffee will be among the dedicated bassist and guitarist women magazine, She Shreds Mag and Punctum Records showcase [ 17th, 1 p.m. ]. And, then at Catchtilly, this Sister will serve coffee among the store’s ceramics. [18 +19] Oh, sistas! What is Austin and one of the nations biggest music parties without food trucks to power one’s way through the days long festival? It wouldn’t be Austin thats for sure. Next to East Side Pies, Rockys Road Brew is helping keep things cold with a 15-hour steeped brew which, if you bring your own mug, your coffee is discounted. Follow the bright red engine truck – Petite Rouge Coffee Truck selling coffee roasted by French Truck in New Orleans while they take over the streets of Austin. Word on that street is that ‘The Frozen Crush’ is what’s cool. Hit the streets, the culture awaits. This entry was posted in music and tagged austin, billy reid, fader fort, hotel coffee, lower left, manana austin, petite rouge coffee truck, punctum records, rockys road brew, she shreds mag, sister coffee, sxsw. Bookmark the permalink.